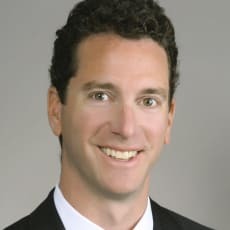 Andrew Rosenman is a partner at Mayer Brown LLP in the firm’s Chicago office. His practice particularly emphasises labour and employment litigation and counselling on behalf of employers. In the course of his employment law and litigation practice, Andrew has advised clients on all aspects of the employment relationship, from drafting employment policies, contracts and handbooks to hiring, discipline and termination issues. He further counsels employers and litigates on behalf of employers regarding claims involving discrimination, harassment, non-competition, non-solicitation and other restrictive covenants, trade secrets, employment contracts, employee benefits, defamation and a variety of other contract and tort claims. Andrew’s practice also includes frequent litigation and advice to employers in individual, class and collective action lawsuits involving overtime, meal and rest breaks, paid and unpaid leave and other wage-and-hour issues. Andrew has won several jury and bench trials for companies in state and federal courts and in arbitration proceedings, and has successfully represented employers in appeals in state and federal appellate courts. Andrew is an active member of the state Bars of Illinois, California and Michigan.